While my husband and I were visiting the Universal theme parks in Orlando this past weekend, we wanted to keep a lookout for Marvin. 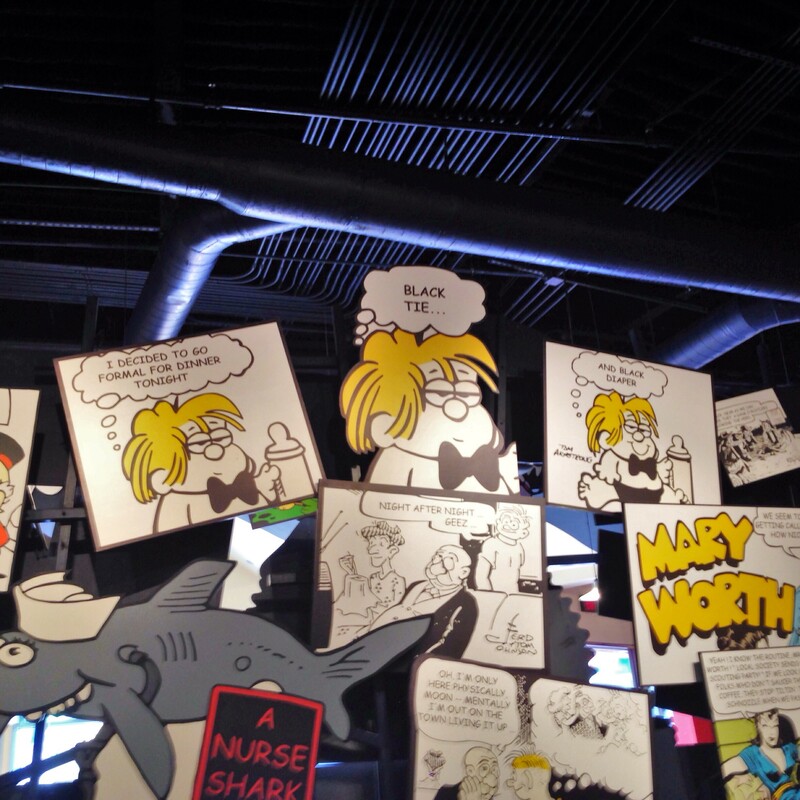 Our son’s father-in-law, Tom Armstrong, is the artist of the Marvin comic strip and we were told that a representation of his work could be found at Islands of Adventure Park. As we rounded a corner we knew we were in the right place. There’s a section called Toon Lagoon at the park – and there we found the precocious toddler as we looked up in the Comic Strip Café. He was drawn in black and white, with his hair colored in. Daily comics are usually in black and white, but the Sunday funnies are always in color. Along the streets in Toon Lagoon we found many brightly colored characters from the King Features syndicated comic strips. 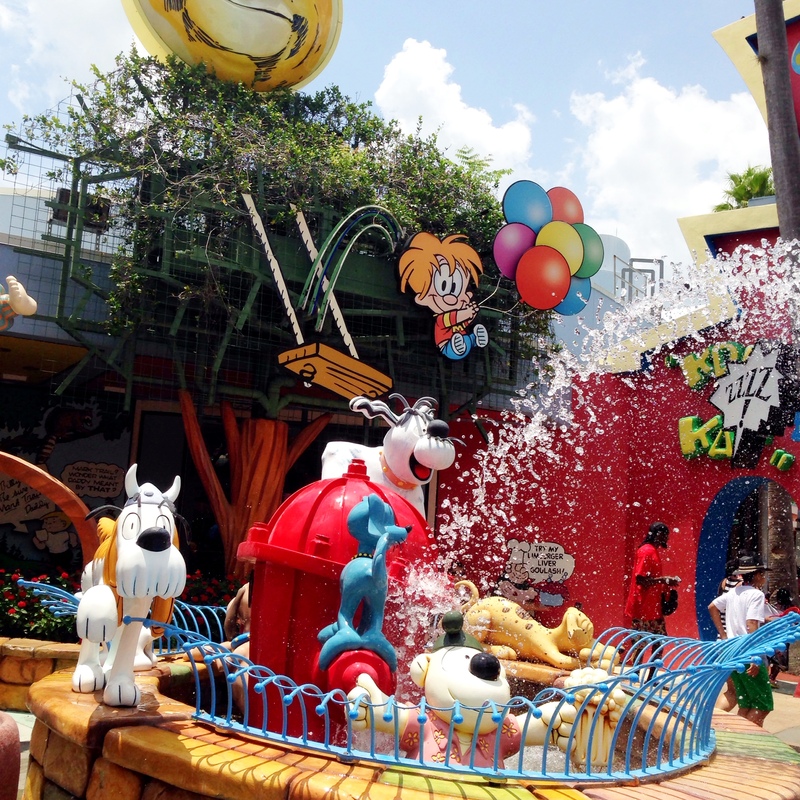 There’s a fountain with many dogs from the strips playing in the water that is escaping from a fire hydrant and Marvin, true to character, appears to be taking flight with his balloons. 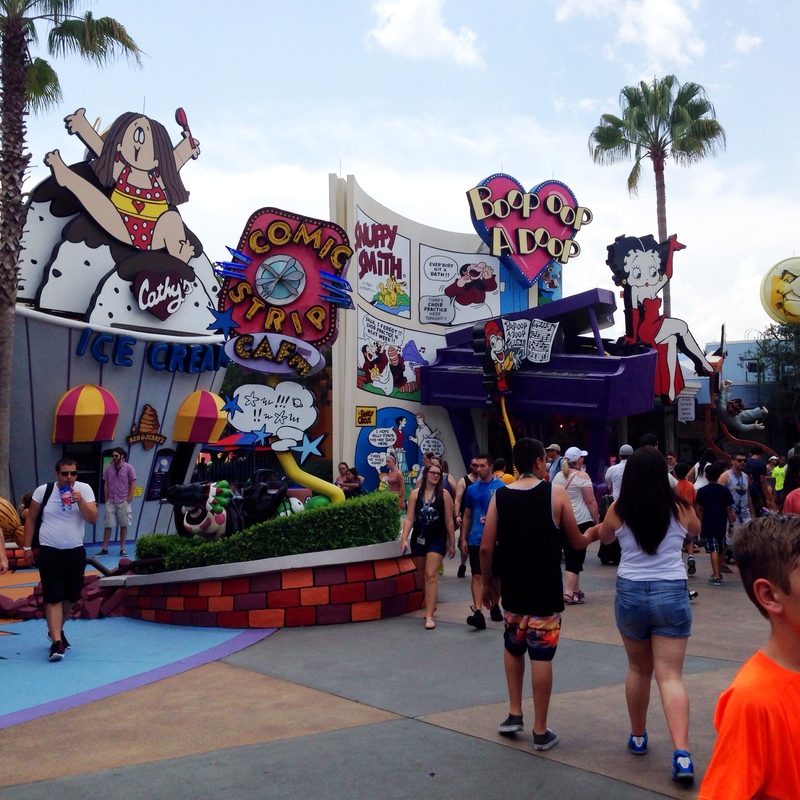 Categories: 52 week photo challenge | Tags: 52 week photo challenge, art, comic strip, Islands of Adventure, King Features syndicate, Marvin, Orlando, Tom Armstrong, toons, Universal Studios | Permalink. Let me set you straight right now – I am not a professional photographer! I love to take pictures and believe every picture tells a story – but this is all about having fun with the weekly themes. So stroll with me as I embark on this personal journey. Who knows – we all need a jumping off point. This may be the beginning of something really spectacular! 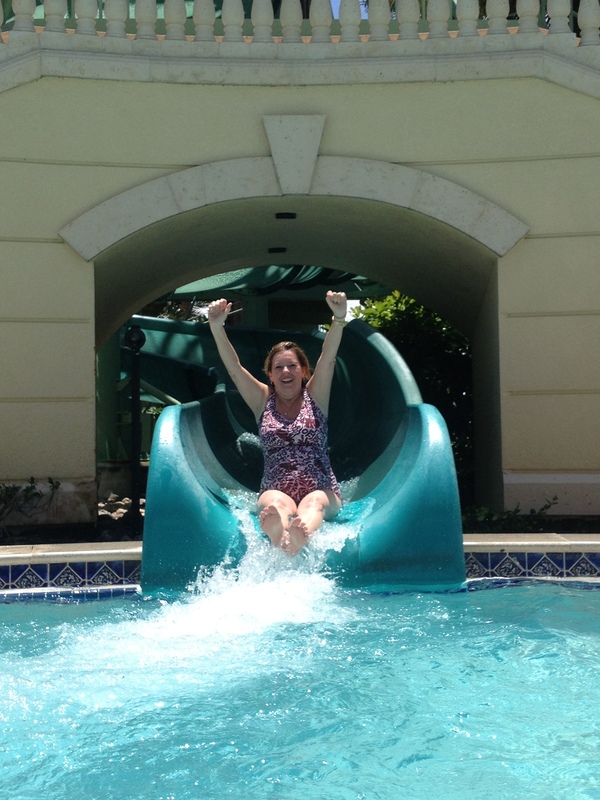 Categories: 52 week photo challenge, Florida, Uncategorized | Tags: 52 week photo challenge, blog, Coach John Wooden, Hilton Grand Vacation, inspirational quote, Orlando, Quote, Waterslide | Permalink.